For people like us who often spend hours in the rain and mud, and who might not be so careful with our electronic gadgets, a rugged phone should be the ideal replacement for an expensive iPhone. 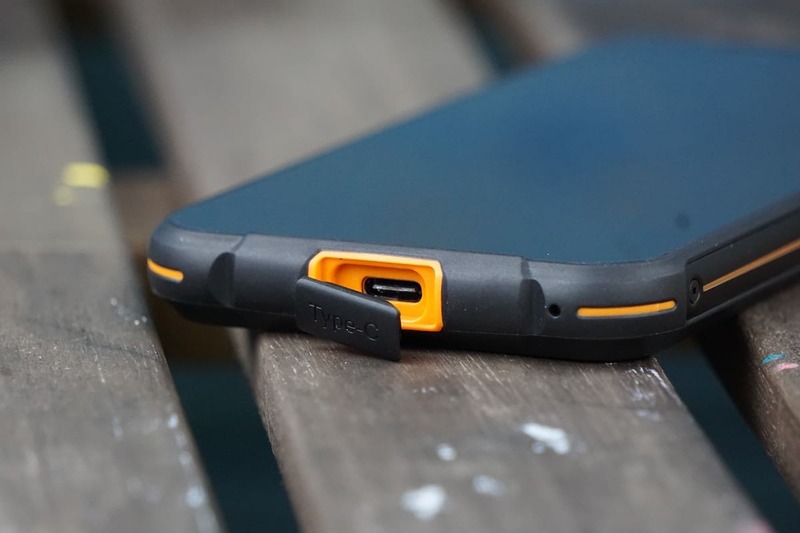 As the name implies, a rugged phone is designed to take a knock and a tumble and should be waterproof too. These are great features for a mountain biker, but the trouble is with most of these hardy smartphones is the design and the specifications. 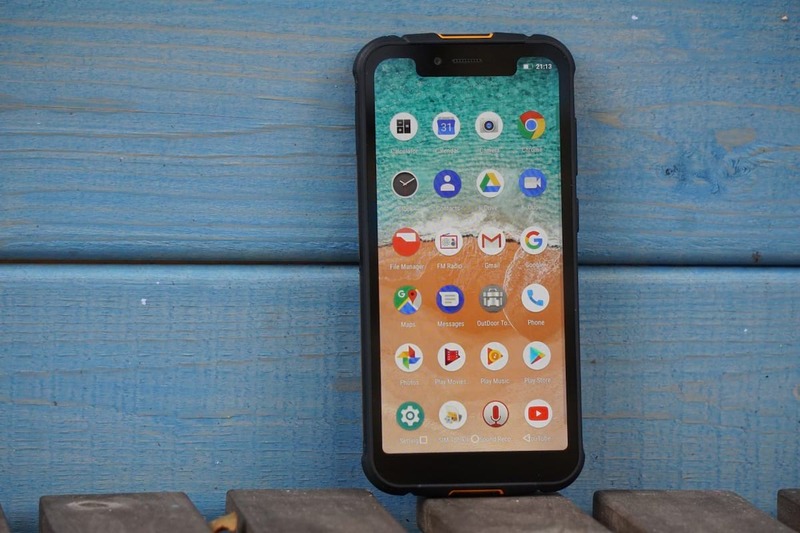 Those of you reading this and who have already toyed with the idea of a rugged phone will no doubt have seen the endless cookie-cutter rugged phones. Devices with the smallest screens on Earth, an operating system and hardware that are generations out of date, and the body of one of those rubber bricks we used in swimming class in the 80’s. The Armor 5 have rugged intentions. The issue is we want smartphones that can last the course, don’t look like a toy brick, get the latest hardware, and most of all won’t cost a small fortune. 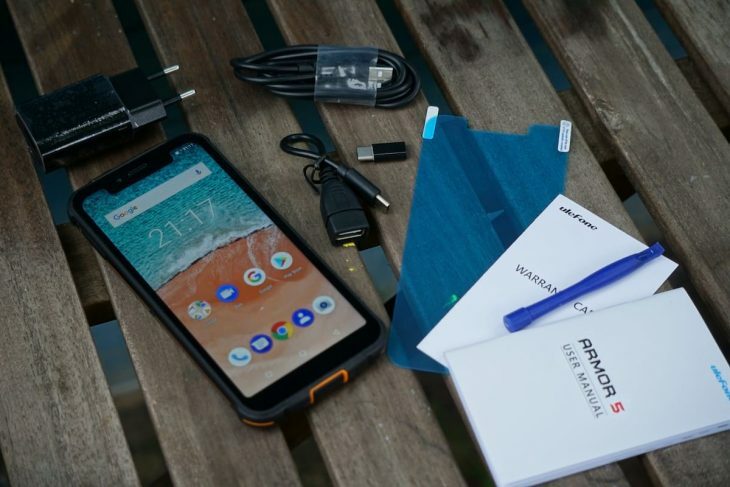 This is where smartphone brand Ulefone steps in, with its interpretation of what a modern rugged Android smartphone should look like and all for just £160. Impressive hardware for a £160 phone! 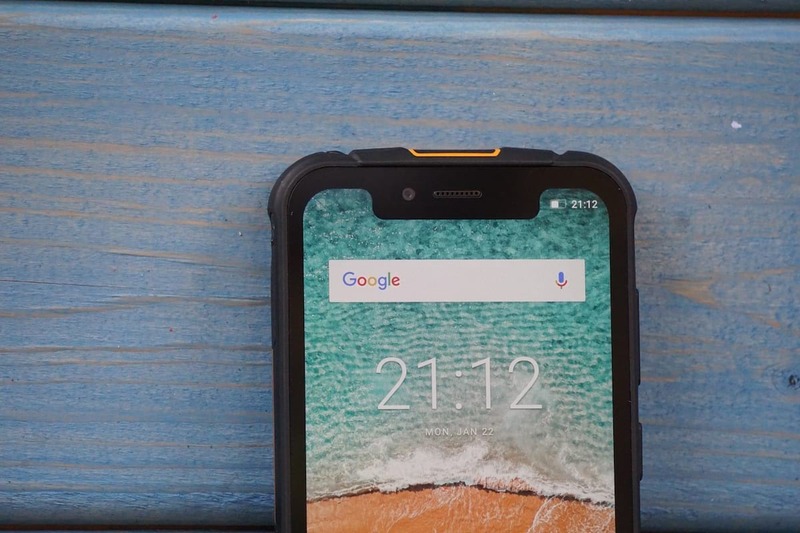 Right out of the box, the Armor 5 looks like no other rugged smartphone we’ve come across, with a sleek design, large display and current generation features including dual rear cameras, and face ID. While not quite as thin or elegant as an iPhone, or Samsung smartphone, the Ulefone Armor isn’t JCB thick, plus this wide-bodied phone houses a generous 5000mAh battery, Qi 10w fast wireless charging, and even USB OTG, a feature that effectively turns the Armor 5 into a powerbank. Large Corning Gorilla Glass 4 display. 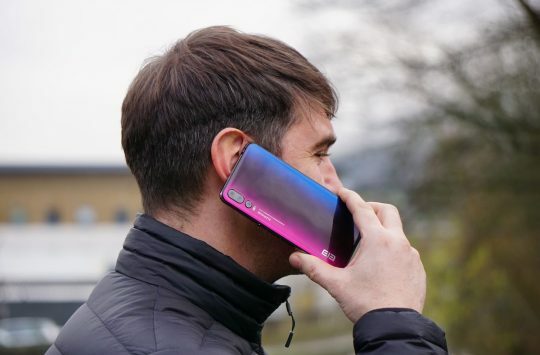 The large 5.85in display gets an on-trend notch design meaning that Ulefone is able to offer a 91% screen-to-body-ratio while still retaining a front camera for those all important selfie moments. Ulefone has chosen a Gorilla Glass 4 material from Corning for the large display, a glass designed to take constant abuse. This in addition with the slightly raised edges around the display and burly chassis, should ensure that shocks from drops and impacts are directed away from the display, but don’t worry we will be testing this thoroughly. IP68 water and dust proof. 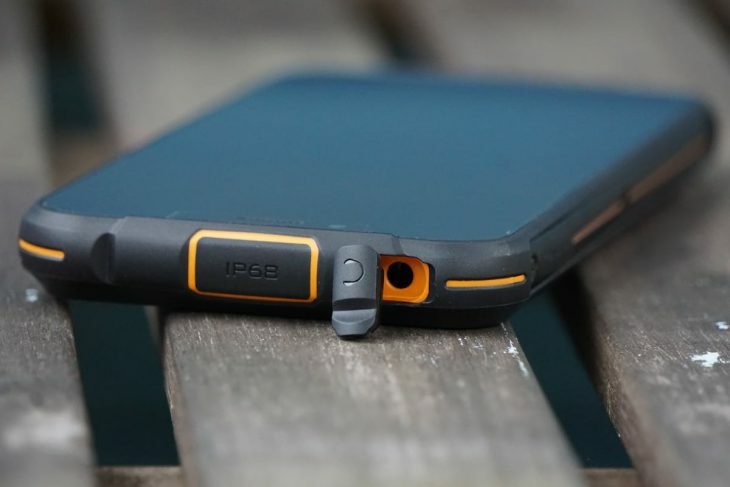 To further bolster the rugged nature of this phone, Ulefone has had the device IP68 certified. IP68 is a standardised certification that is given to electronic devices that can survive in water of more than 1 meter. 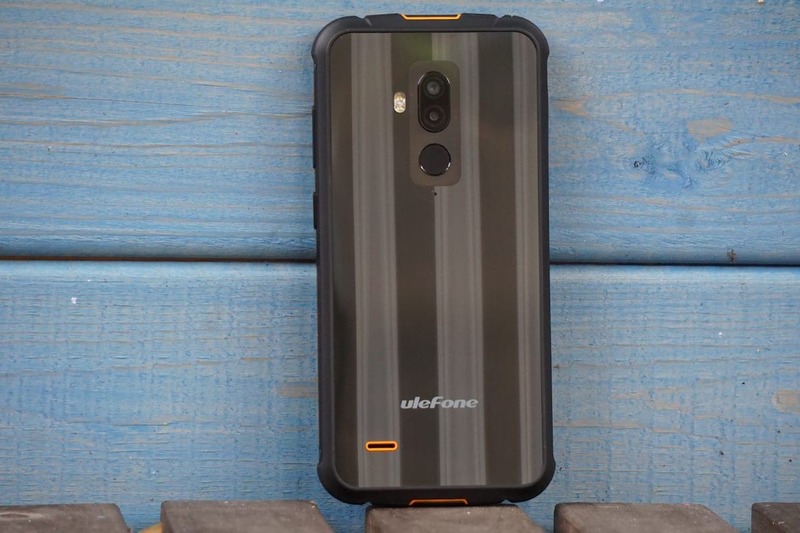 Ulefone claims that the Armor 5 will actually survive a water dunk of 1.5 meters for up to 24 hours, so we’re not too worried about shoving this phone in a soggy bag at the end of a ride. A standard 3.5mm headphone jack. Rubber caps are used around the phone on sockets to help prevent water and dirt ingress and you’ll find a rubber trap door over the Type C USB port, headphone jack and over the hybrid SIM/SD card slot. While all of these rugged features are great for those few hours that you’re out on your bike, what about the rest of the phone? Is the hardware up to daily use? is the camera decent? does the battery last? Composite glass rear is great to look at and tough. We don’t have all of those answers yet and that’s why we will be making a full review of the Ulefone Armor 5, but looking at the technical specifications it does look like Ulefone has created a pretty well thought out device, especially at such an affordable price. 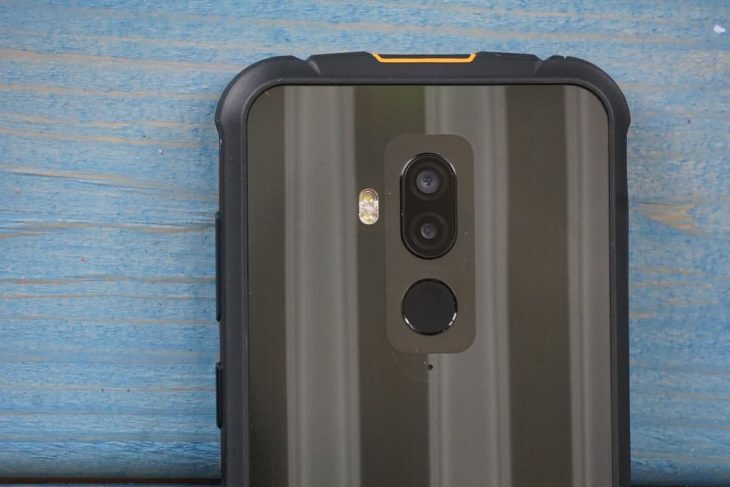 Dual rear cameras and a fingerprint scanner. On the camera front, Ulefone has equipped its rugged phone with dual rear camera sensors. A main 16-megapixel camera and a secondary 5-megapixel sensor. 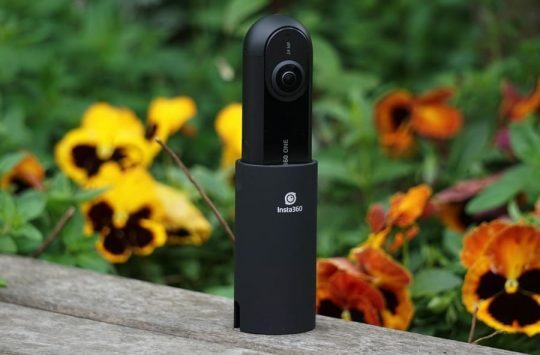 In this case, the second sensor is used to create a depth effect, a feature Ulefone calls “SLR” in the camera app settings. 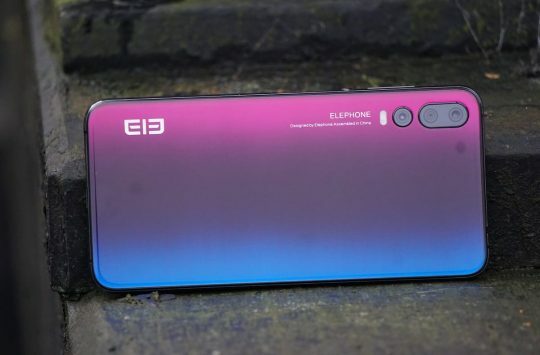 Cameras specs up front are impressive too, with a 13-megapixel sensor set in the notch and chosen as a dedicated selfie snapper. Ulefone has even packed in a beautification mode to enhance those shot of you looking muddy and glum when you realise you’re not even halfway around your route. It might look like stock Android 8.1 but we think Ulefone has worked on it a little. An 8-core, 64bit Mediatek processor running at 2.0Ghz is the heart of the Armor and on paper, it should offer the performance to keep you Snap Chatting, Googling and Facebooking all day plus with 4GB RAM there shouldn’t be much slow down even with multiple apps open. 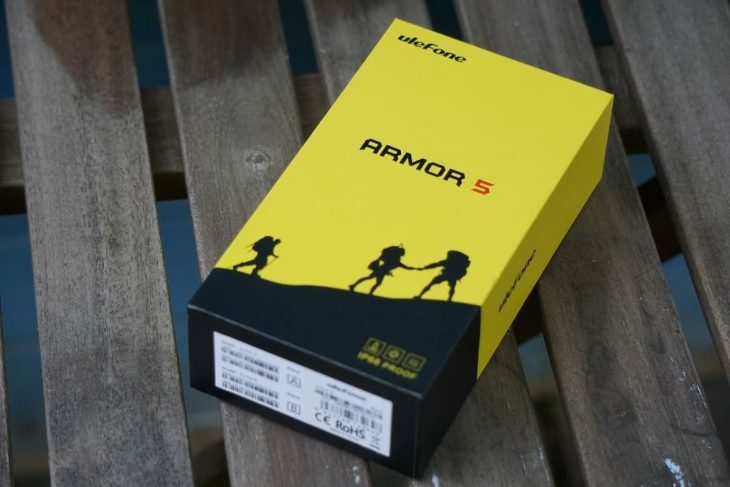 The fact that Ulefone is shipping the Armor 5 with a stock looking Android 8.1 operating system with very few pre-installed applications is a great performance boost too. 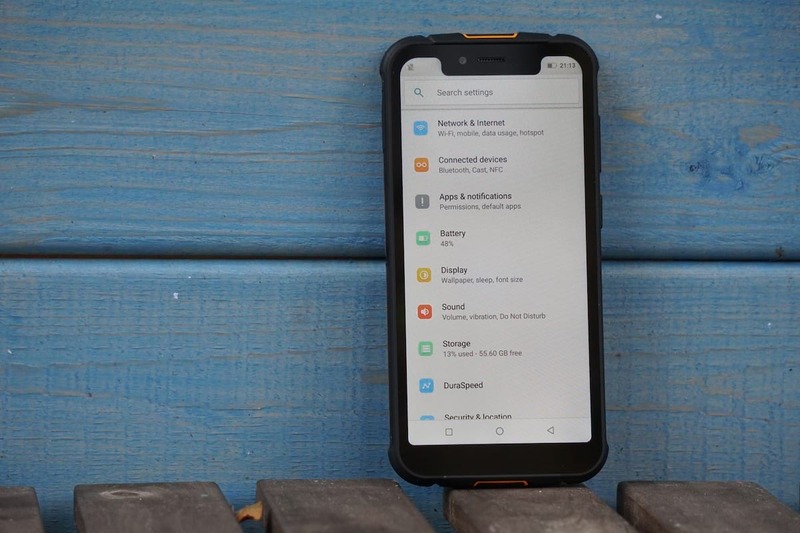 A quick browse through the system shows that most of the applications are stock Google apps that we would get on any Android device, the only major addition being an “Outdoor Toolkit” Application which features a compass, flashlight, bubble lever, etc. The front camera is also used for Face ID and unlock features. Security is handled by the option to set up a pin code or password, backed up with a fingerprint scanner on the rear of the device. 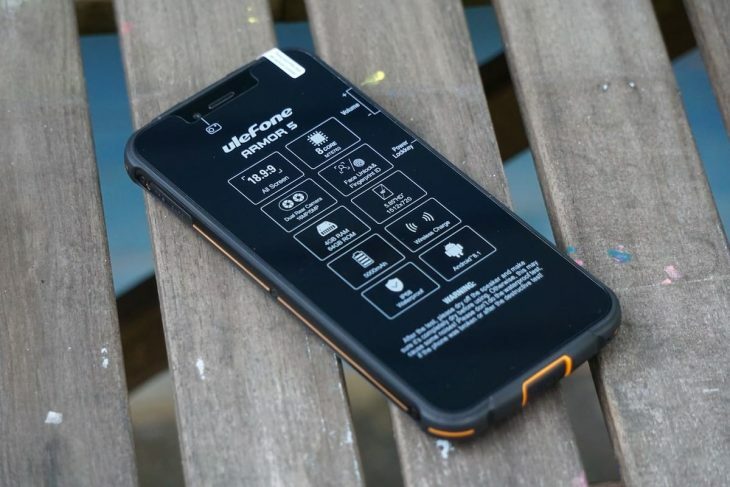 As most of us will be wearing gloves while using the Armor on our bike rides it’s also worth noting that Ulefone has also included a Face ID feature too, which scans your face to unlock the phone. Interestingly, Ulefone has gone to town on the audio equipment in the phone too by adding an additional AW8736 audio chipset to improve playback. 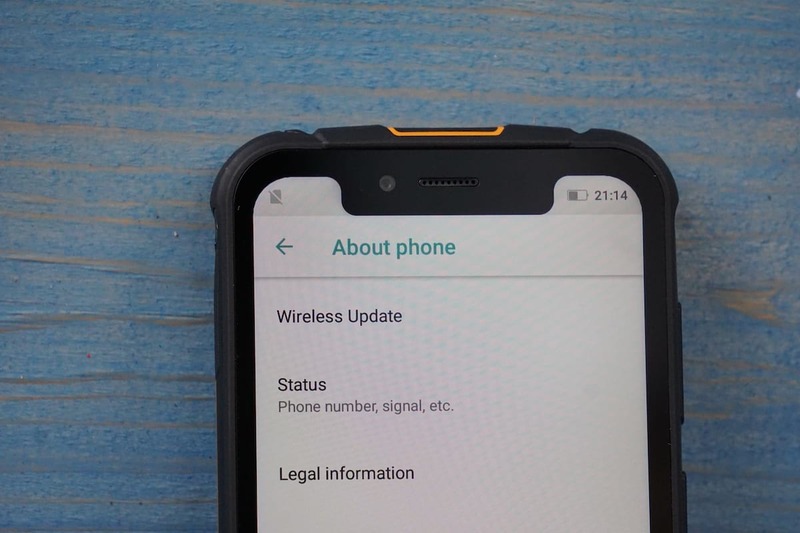 This is a feature we see on high-end smartphones, but not something we expect to see on a rugged device and again at this low price, this is impressive. The Armor 5 comes with a bunch of accessories. Ulefone ships the Armor 5 with a screen guard, USB OTG cable, USB Type C cable, USB Type C to USB adapter and our test model came with an EU charge but we assume a UK plug is also an option. We’re currently testing the Ulefone Armor 5 with the help of Ross who is known as the office phone smasher. In the meantime, if you have any questions about the phone let us know in the comments section below.